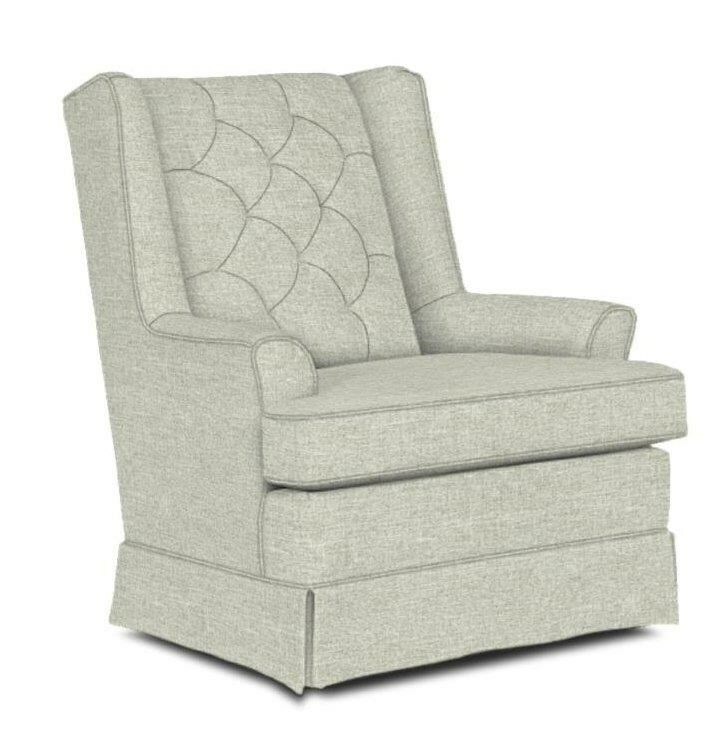 Gentle swivel and rocking motion completes this cozy and timeless chair. A skirted base adds a subtly elegant touch that makes it the perfect fit for traditional, coastal, or country cottage room decor. Features a plush, reversible seat cushion for lasting, sink-in seat support. The Swivel Glide Chairs Nikole Skirted Swivel Glider by Best Home Furnishings at Miskelly Furniture in the Jackson, Pearl, Madison, Ridgeland, Flowood Mississippi area. Product availability may vary. Contact us for the most current availability on this product. The Swivel Glide Chairs collection is a great option if you are looking for Transitional Cottage furniture in the Jackson, Pearl, Madison, Ridgeland, Flowood Mississippi area.